Multi-line text is simply text that is displayed over multiples lines with a specified line spacing. 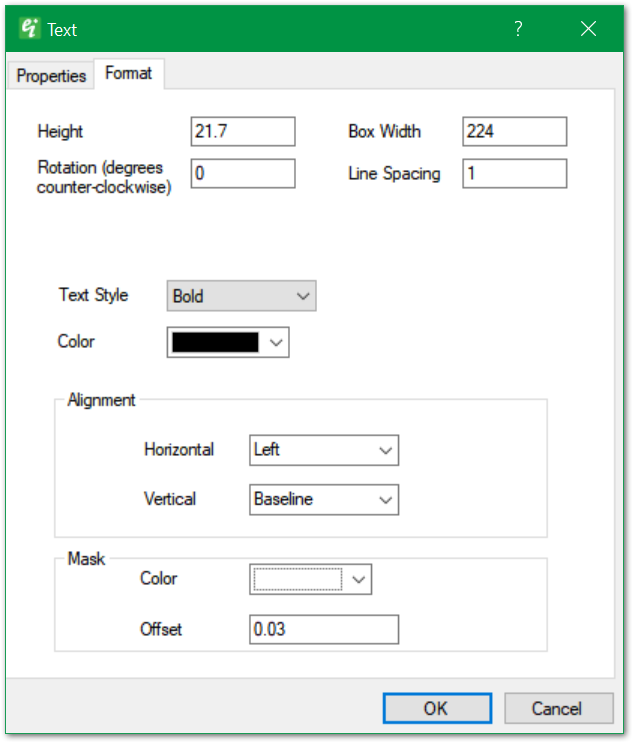 Select Draw> Multi-line Text from the main menu to open the Text dialog box. Edit the text properties and format as desired. When entering multi-line text in the dialog box, line breaks must be indicated by selecting CTRL-Enter. Click the OK button to save changes.